When internet launched, everyone wanted to have their business online. Time passes and with innovation in technology, mobile has become integral and essential part of your online business. If you sell your products via shopping cart or offer other services but key question remains to be answered: Are your offerings and your target audience remain at the same place at the same time? When you are selling your products via website or blog, you need to have the presence and availability all the time. It is important that your target audience find your products from their convenient electronic medium like laptop, mobile, tabs etc. So the connection between you business and customer is very essential part of running a successful business practice. Before the Internet and search engines came into play, it was all about advertising. Getting the word out about your product through mediums like TV or newspaper ads, billboards, word of mouth, and even leaflets stuck on door handles were the way you got to your customers. The general idea remains the same when used with local internet marketing, and just as advertising has evolved in the real world, it has done the same online. In both instances, the evolution has come about in reaction to who is being marketed to. For example, as more and more people began to use cars and drive on the highway, roadside billboards became more viable. The same thing is happening right now online, as more and more people are consuming and searching for content online from their mobile phones. As smartphones have caught on, mobile internet traffic has increased exponentially. In fact, the gap between desktop and mobile searches continues to narrow, and predictions place mobile searches in the U.S. ahead of desktop searches as soon as 2015. 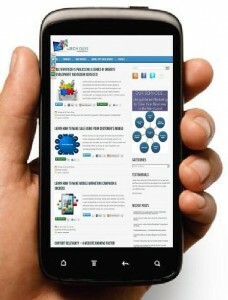 Mobile phones view webpages differently than desktops. Smaller screens mean less viewable content at a time. Many website developers use the newspaper term “above the fold” to describe the information that is first viewable on a website. For a mobile device, the information viewable above the fold is more like a newspaper being folded into a quarter of its normal size. Mobile phones are used for local search. It is estimated that up to 80% of searchers research purchases online before shopping within 10 to 20 miles. Because of how well represented brick-and-mortar businesses are becoming, customers are able to compare products online before going out to the store. Some will even compare pricing on their cell phone while in the store. Mobile searches are very focused, more so than normal online searches. It’s much more difficult to type into a cell phone compared to a keyboard, and this lends itself to focused search queries. Combine this idea with searchers who are shopping in the physical world while they compare in the digital one, and you are up against your first impression. 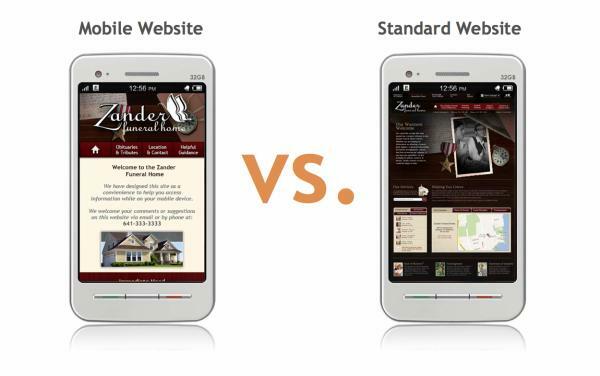 Websites are doing more to be mobile-friendly. 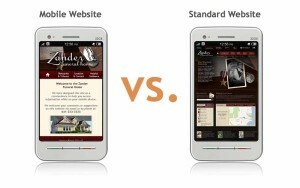 Not every website can initially justify the investment that a mobile version of their site represents. But make no mistake; eventually all websites will need this ability. The best way to determine when this needs to happen is through the analytics of your website. Once your mobile percentage rises above 25% of overall traffic, you need to seriously consider a mobile version of your website. If a visitor is accessing your site and the site of your competitor, and you’re the one without a mobile site, then you’ve already lost. Finally, mobile websites act as a quick reference. Especially for service-oriented websites, having a mobile webpage that readily displays clickable, callable information means that your customers can quickly get ahold of you when necessary. So what should you do with your design? Get responsive. First of all, designing a mobile website can be very simple if you are using a responsive template or theme. If your site can automatically detect a device’s screen size and pull up the correct design – whether the site is located under the same domain or redirects to another domain for the mobile version – you’ll be a step ahead of the game. Keep the same look, simplified. Obviously, with a smaller screen, you are going to need a less complex design. However, that doesn’t mean that you should ditch the design of your desktop site in favor of a white background and only text. Use the same color scheme and a simplified version of your header. Reduce the amount of text. No one wants to be reading a bunch of tiny words on their smartphone screen, at least not right from the home page. Cut out what isn’t essential. From there, try to explain the essential elements in fewer words. Add user-friendly elements. Keep in mind that your mobile visitors are probably using a touch screen or a tiny keyboard. So text entry should be minimal: drop-down menus and large search bars will keep those individuals (and their fingers) happy. You should also incorporate a button that will directly call your company, if applicable. Mobile internet usage will only continue to increase, and like a marketing strategy that doesn’t evolve with its audience, any website that doesn’t seriously consider this will be quickly left in the dust. This entry was posted on Saturday, March 16th, 2013 at 5:57 am and is filed under Mobile Marketing, Website Design. You can follow any responses to this entry through the RSS 2.0 feed. You can leave a response, or trackback from your own site. Previous entry MultiInfoTech is publicizing a series of Website Development and Design Services!